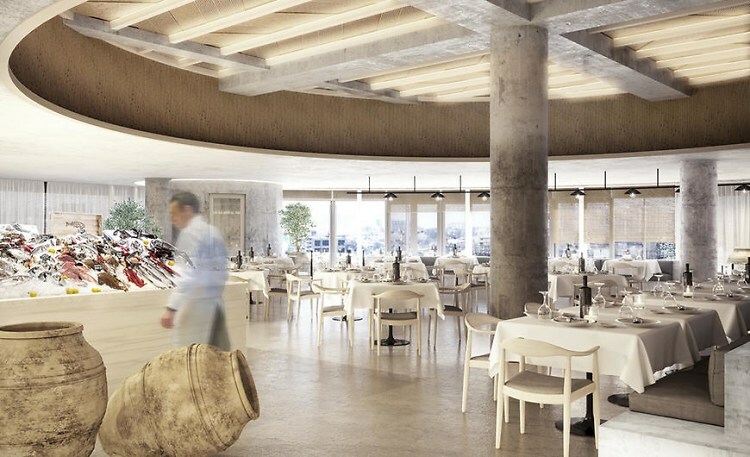 With its white-washed decor and fresh seafood daily, Chef Costas Spiliadis’s new outpost of Estiatorio Milos brings Greece to the West Side. The Mediterranean fare was enough to (reportedly) reel in Gisele and Tom Brady during Thursday night’s grand opening party, and it’s the only restaurant on site to feature a large outdoor dining area on a terrace. Think of José Andrés’s massive food hall, Mercado Little Spain, as the Spanish version of Eataly. But besides the dry market and separate counters, it does feature a few exceptional sit-down options. 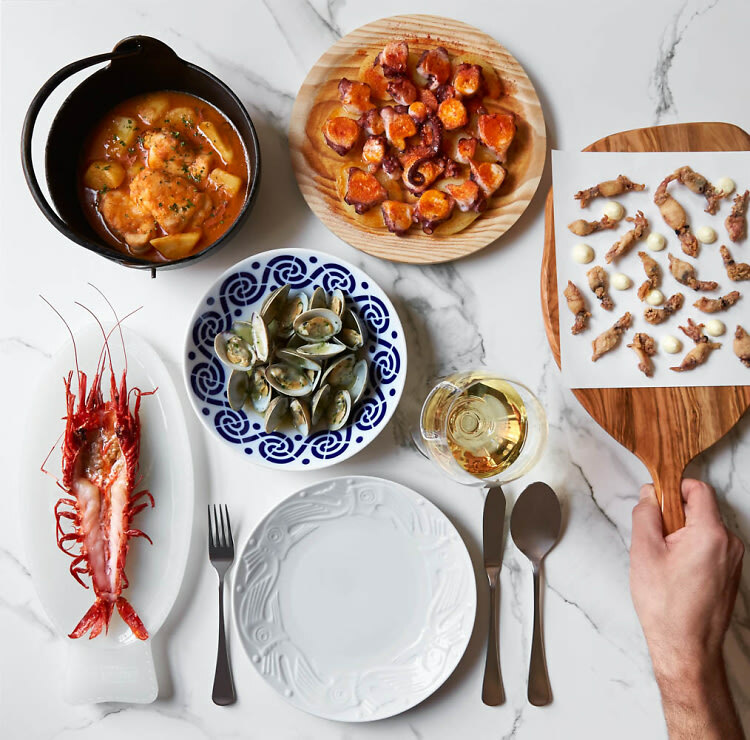 Like Mar, the seafood-focused eatery celebrating Spain’s diverse culinary exports from the sea. The fresh, seasonal fare is complemented by a dreamy mural splashed across the walls, inspired by the Spanish seaside. 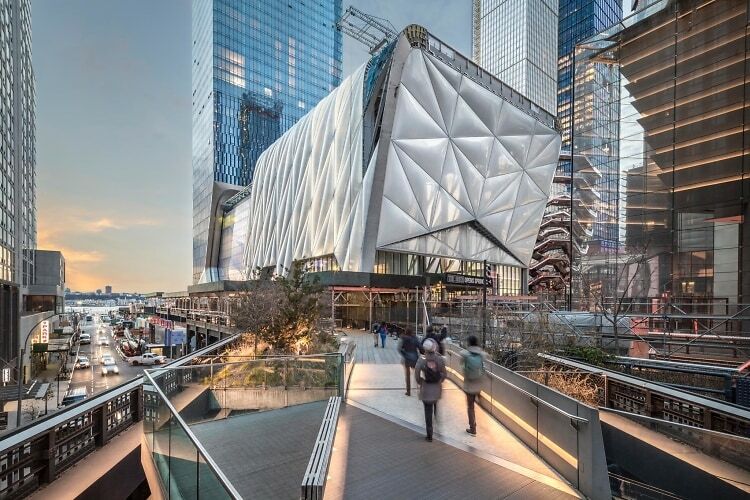 Hudson Yard’s primary arts and performance space, The Shed, pushes the limits of architecture, allowing artists to transform the building to fit their vision. The 200,000-square-foot structure features a movable outer shell that can turn an outdoor plaza into a light- and temperature-controlled indoor hall. With galleries, a theater, and modern public space, there’s plenty to capture. The most iconic shot to get at Hudson Yards is undoubtedly an #OOTD in front of (or inside) The Vessel, an alien-like structure that’s part art, part public space, featuring 2,500 stairs and 80 platforms. 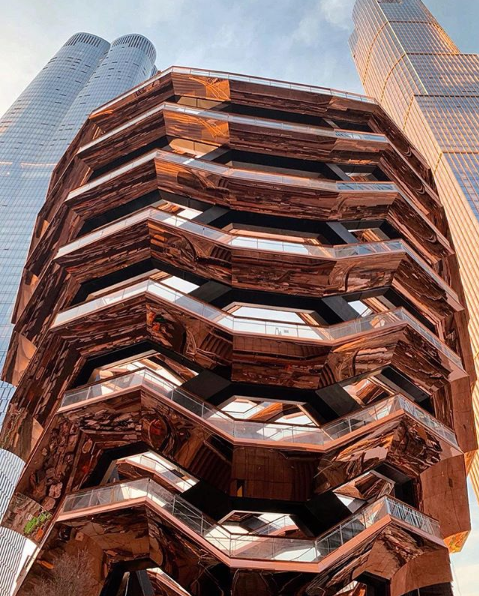 Designed by Thomas Heatherwick, The Vessel (whose permanent name is TBD) is slated to be the next big New York landmark. For the perfect view (and ‘gram), we suggest talking your way into TAK Room and heading out to the restaurant’s balcony. Snarkitecture’s innovative new art space combines futuristic design with functional retail. The inaugural installation, Lost and Found, features interactive columns you can step into, boasting everything from disco ball details to furry white walls. Don’t forget to grab some Kith Treats on the way out.